Marketers love to talk shop about brands and all the warm-fuzzies (and hard work) that come along with it… but the reality is, many well established venues out there are a long shot from ever getting a new concept across the line. Uttering the words ‘rebrand’ at a management or board meeting for many, is likely met with a swift topic change onto ‘more important things’. I don’t blame them. Rebrands are hard work; they involve a lot of consultation and planning and most importantly, you need a founded reason for doing one. You might be in a venue that has a well-established brand in your local community that is highly regarded and has withstood the test of time. People know you, they love what you’re about and they associate you with all the great things you’re famous for. Having an iron-clad brand is a result of long-term consistent work from the board, management and the frontline staff – an amazing feat by all accounts. However, your established brand can also be a limiting factor as many wait for a competitor to enter the market with a new concept to disrupt you and by then it’s too late. They’ve taken the chance you should have. Disrupting your own brand is healthy. A ‘rebrand’ is not always about giving yourself a trendy new logo – but that you position yourself for reinvention. Giant fast food outlets KFC and McDonalds have recently turned their brand concepts on their head and are working to change the way people think about them. 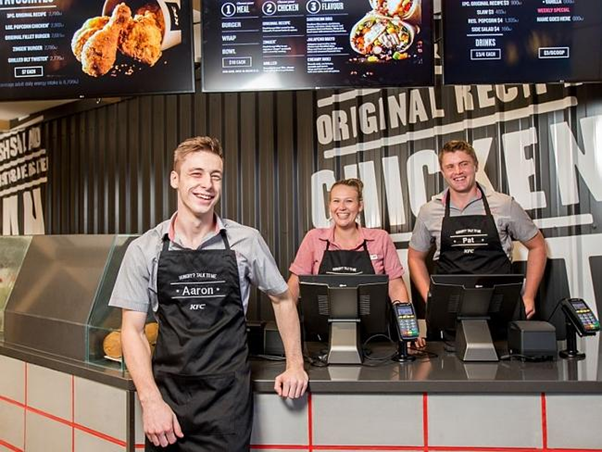 Recently KFC has followed in McDonald’s footsteps and opened a new concept store in Parramatta that caters to their local market of ‘adult working Australians’ by offering a reduced menu with healthy additions including quinoa, jalapeño sauces, basmati rice and corn salsa and are looking at serving liquor. KFC are attempting to ‘localise’ their store so they are viewed as part of the Parramatta community over the greater corporate KFC brand. Do you promote your local suburbs within your marketing? Name a coffee or a meal after something local to remind your customers that you are a part of their community. 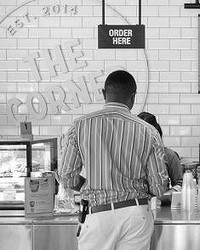 McDonalds has taken a different approach by extending their brand to offer a new healthier range to accommodate the expectations of a new breed of customers at their concept store ‘The Corner’ in Sydney. The driving force behind these branding projects is their dedication to service the changing market & to take note of consumer trends. Ask yourself, what’s changing in your market? What is your local market eating? How & when are they dining out? Is your market time-poor and could you improve how you service them? Is there a niche market that you could offer dedicated services to? Where are people going for entertainment in your local area and why? 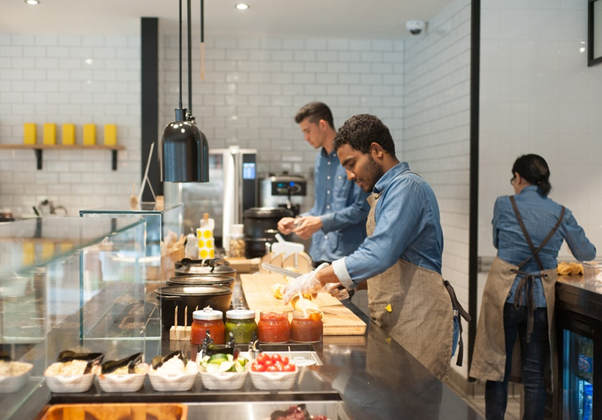 The popularity of ‘street food’ style dining has even stretched to Westfield, who now offer this trend within their local food courts. Yes… people are sitting on plastic crates eating hot dogs off paper plates – and they love it. Can you offer a new experience to your customers that’s outside the normal restaurant or bistro environment? What about creating a new brand for the bar, TAB or gaming room that delivers a whole new experience to the rest of the business? Don’t wait until another operator introduces a new concept before you decide to act. Consistently delivering a service is great for building your brand – but don’t forget the world is changing outside of your walls and to make sure you pop your head out every once in a while to see how you can disrupt your brand for the better. Need assistance or direction in your marketing? Contact Samantha Litfin on samantha@dws.net.au or (07) 3878 9355 for a discussion about how we can help.